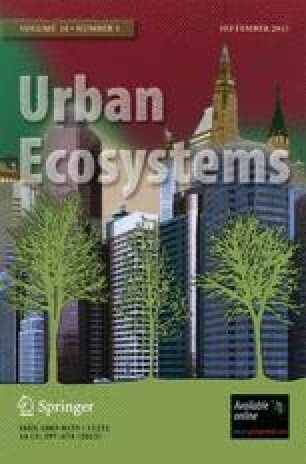 Urban agriculture offers a framework for local self-reliance and resilience in cities. However, there is a concern over the capacity of urban soil to provide sustainable and safe food production. We tested the effectiveness of several soil health indicators to predict food crop productivity and quality in vacant lots in a disadvantaged neighborhood in the city of Cleveland, Ohio. We defined soil health as a state of composite well being in terms of biological, chemical, and physical properties of the soil as they relate to crop productivity. Twelve city-owned vacant lots, three close to each of the four city schools, were selected for soil properties and plant growth analyses. Soil samples were analyzed for pH, moisture content (θv), soil texture, soil organic matter (SOM), active carbon (AC), ammonium (NH4-N), nitrate (NO3-N), microbial biomass N (MBN), and nematode community parameters including total (TNN), bacteria-feeding (BFN), fungal-feeding (FFN), and plant-parasitic (PPN) nematodes, number of nematode genera (NNG), and nematode food web enrichment index (EI) and structure index (SI). Lettuce was planted in the selected vacant lots and its growth was documented through measures of dry biomass, numbers of leaves/plant, and complementary subjective appearance scores related to physiological status. All measured parameters varied considerably among vacant lots except soil pH. Principal components analysis revealed that among the primary soil physical, chemical, and biological parameters, soil clay, NO3-N, MBN, SOM, AC, TNN, BFN, FFN, and PPN contributed most to the variance of the entire dataset. There were also several positive correlations among these key soil health predictor variables: AC was positively correlated with clay, SOM, MBN, TNN, BFN, FFN and PPN, and TNN was positively correlated with AC, SOM, MBN, BFN, FFN and PPN. Of the identified primary soil health indicators, only clay, SOM, and MBN positively correlated with lettuce dry biomass, which was also positively correlated with a secondary soil health indicator, the nematode food web EI. Lettuce leaf necrosis was negatively correlated with clay, AC, SOM, MBN, TNN, FFN, and PPN, and the proportion of withered leaves was negatively correlated only with SOM. It is concluded that AC, PPN, TNN, SOM, MBN, clay, and nematode food web EI can serve as important soil health indicators that have potential for predicting crop productivity and quality in urban soils. It is also concluded that lettuce can serve as an important indicator of soil health with respect to crop productivity and quality in vacant lots. This research was supported by the OARDC Research Internships Program (ORIP) and by the OSU Food Innovation Center (FIC). We also thank the Cleveland Planning Commission and the Hough neighborhood Land Bank for help with the identification of the city owned vacant lots, Michael Easterling of Crossroads Institute, Cleveland, Ohio, and Kevin Power and Jennifer Reeves both of the Urban Landscape Ecology program of the Ohio State University for assistance with planting and watering of lettuce in the vacant lots.